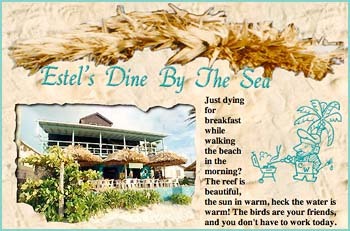 Estel's opened January 1, 1992. And while 25 years ago might be considered modern history in most of the world, San Pedro really was a tiny village just a few decades back. San Pedro High School was founded in 1971, our first tourist hotel in the country, the Holiday Hotel, is just over 50 years old. Tropic Air started in 1979 with just one plane. Charles and his wife Estel met in Tampa, FL – Charles, an American who’d never even heard of Belize, and Estel, born and raised on Ambergris Caye. Charles visited in 1983 and was smitten with the island. 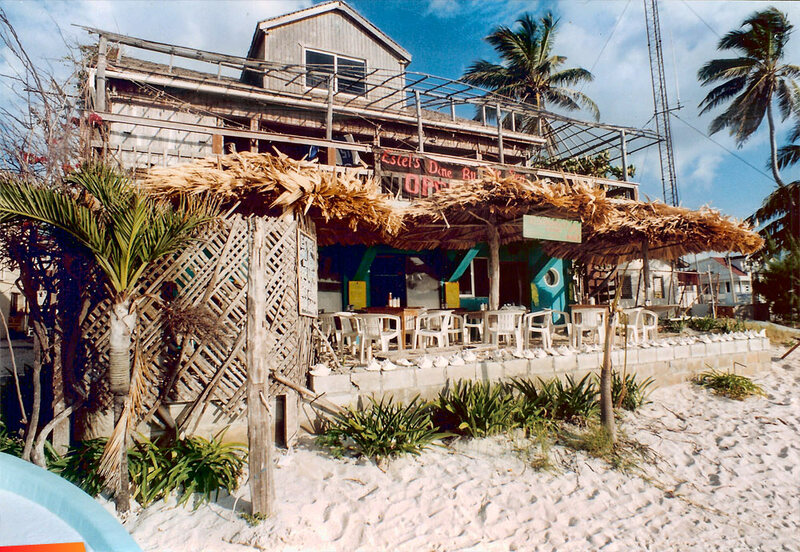 He and Estel moved to Ambergris Caye in 1988; he brought all of his band equipment and some of his band members with him. Members like Dennis Wolfe Sr.
His first proper gig was at Ramon’s Village. One of the very few hotels on the island – just a handful of palapa cabanas on a long sandy beach outside of town. It was a huge hit. And Ramon asked Charles to return the second night. He told him that a guy who was staying at the resort would be joining them for the show. That guy was Jimmy Buffett. The entire town was there for the free show, they played together for 4 hours straight. And Jimmy, the band and a bottle or two of Crown Royal were up until dawn. Charles got a letter in the mail later that year with a copy of the song (and new album) they played for the first time at Ramon’s. He’s still got it. For more information, you are going to have to talk to Charles. You can find him at the corner table in Estel’s.